Only premium cashews are selected and slow roasted before being seasoned with just the right amount of sea salt. A heart-healthy favorite, cashews have a lower fat content than most other nuts and approximately 75% of its fat is unsaturated fatty acids. Grab a handful of these nuts, or incorporate them into your very own mix! Only premium cashews are selected and slow roasted before being seasoned with just the right amount of sea salt. A heart-healthy favorite, cashews have a lower fat content than most other nuts and approximately 75% of its fat is unsaturated fatty acids, helping to promote good cardiovascular health. Grab a handful of these nuts, or incorporate them into your very own mix! • A great source of protein, zinc, iron, calcium, and vitamins. • Like this mix? Try our Roasted Salted In Shell Pistachios! Cashews come from a tree Native to the Amazon rain forest originally, and in about the 16th century the Portuguese came and took these trees into other countries where they are cultivated commercially today. Some of the leading cashew producers today are India, Brazil, and parts of Africa. The cashew comes from a tree that produces a cashew apple. The cashew itself is the seed found in the middle. Cashews have many health benefits and are an excellent sour of copper, magnesium, zinc, manganese, and phosphorus. 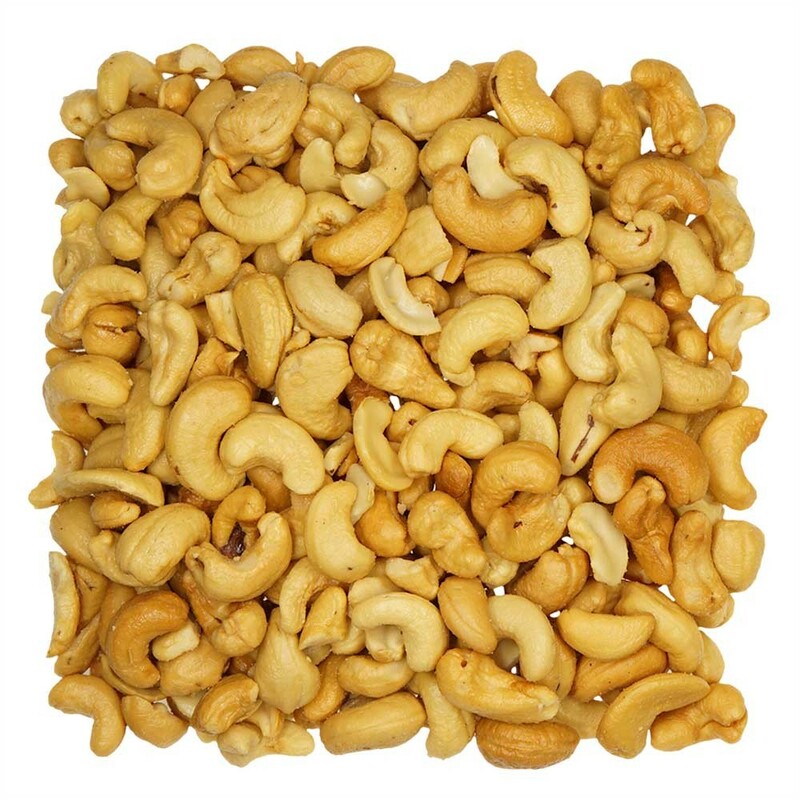 HEALTHY FAT: Cashews tend to be lower in fat than many other nuts. They are full of the monounsaturated fats that have all the same benefits like olive oil. Monounsaturated fats along with a healthy low-fat diet helps lower triglycerides which reduce the chances of heart disease. COPPER SOURCE: Copper is directly related to the development of bone and connective tissue in the body. It is also excellent for the elimination of free radicals. Cashews are an excellent source for copper. 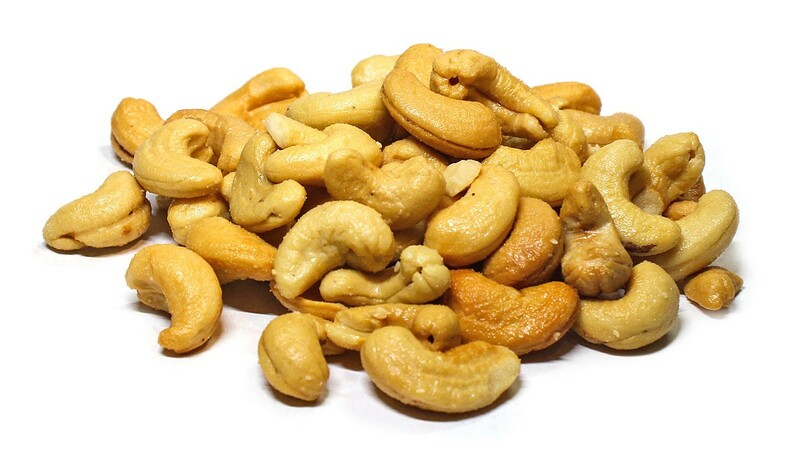 Cashews also reduce the chances of getting gallstones. 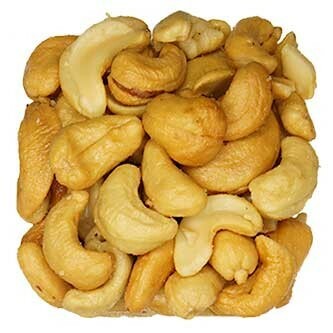 The Nurses’ Health Study gathered dietary data on 80,718 women, consuming at least an ounce of nuts a week, like cashews, lowered the risk of developing gallstones by 25%. Cashews have about 38% of the daily recommended value of mono-saturated fats and help reduce triglyceride levels for diabetics. A study published Obesity Journal show that people who eat nuts at least twice a week are less likely to gain weight than those who never do. The study concluded that out of the almost 9,000 participants who consumed nuts at least two times a week were 31% less likely to gain weight than the ones who almost never ate nuts. Our Roasted Sea Salted Cashews are roasted to perfection by our in-house specialist. We have created a wonderful treat to mix with other nuts or eat on their own. Eat Nuts Today. $5 Flat Rate Shipping in U.S. — And the option to deliver as a gift. Shippiing World Wide via UPS. Order Ships 2-3 days — With the high volume of orders this holiday season our orders are taking a few more days to process. We are working long and hard getting to all of your orders. Thank you! By the Pound and Save — The more you buy the more you save! Same bulk concept as others, the difference is in the quality and have the option to save more by buying more products in one spot. 1 pound, 5 pound and bulk cases (25 pounds and up) — Want to try a new product you haven't seen before? Try it with our 1lb option! Or have a favorite nut that you can't live without? Then order as much as you want! We have 1lb, 5lb and bulk cases for whatever your needs are! Safe, Secure and Trusted Website — Saving the best for last, securing customer information is what we provide. In addition to the nuts of course.